2004 International 9200i - Water Truck in Chino Hills, California - Listing# 360522 - FMC Shipping LLC. Please contact me regarding the 2004 International 9200i - Listing# 360522 for sale at TruckerToTrucker.com. 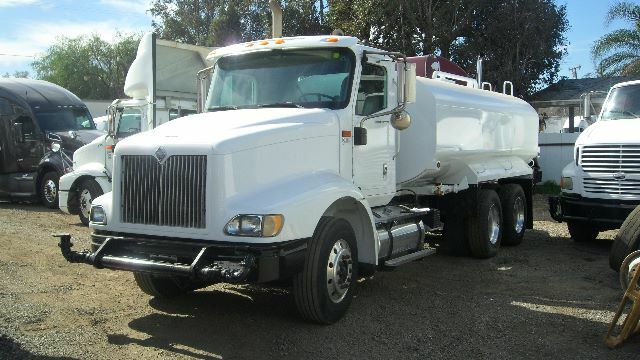 Take a look at this 2004 International 9200i. It is Listing# 360522 at TruckerToTrucker.com. CALIFORNIA OK, CARB compliant....4000 GALLON WATER TRUCK, 2 FRONT, 2 SIDE, 2 REARS AIR SPRAYS, ,WITH 6 AIR OPERATED CAB CONTROLLED SPRAY HEADS., AIR SHIFT PTO, HYDRANT FILL, TOP FILL, REAR LADDER, PUSH BLOCK WITH STORAGE, READY TO GO TO WORK.